They say that breakfast is the most important meal of the day and, whoever they are, they have a point. Sure, the morning meal has some stiff competition in the form of long, leisurely lunches and decadent dinners where good wine flows, or even afternoon tea in all of its abundant extravagance. But breakfast is unique in being responsible for setting the tone for your entire day. Like a cold shower, a disturbed sleep or severe delays on your train line, a miserable breakfast leads to a downbeat day. With that in mind, and as summer starts to show its face, we have relaunched our breakfast and brunch menus to ensure our customers can kickstart their days in unbeatable style, whether they are after something healthy and sustaining or hearty and unrestrained. The menus have been created by our new Executive Chef Allan Pickett, whose cooking pulls together classic French training and the best of British produce — and was recently highly recommended by Marina O’Loughlin in The Guardian. For those looking to start things the healthy way, there is Swan’s own-blend muesli. 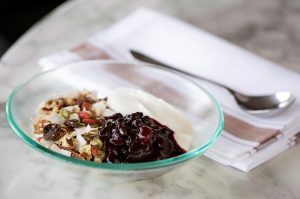 It’s made with a careful blend of ancient grains, seeds, dried cranberries and apricots for a feast of flavours and textures, and served with local Bermondsey honey, berry compote and either Greek or coconut yoghurt. If it’s something virtuous but vibrant that you’re after, Allan’s smashed avocado on sourdough with coriander, chilli and two poached eggs will hit the spot. You don’t need to worry about avocado hand as we’ll be taking care of the prep, but note this delicious dish will in no way help you to buy a house. Sorry about that. 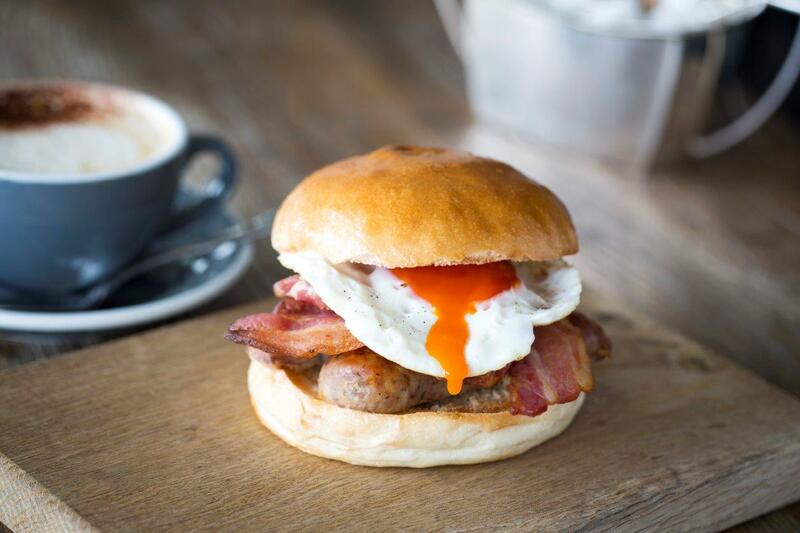 If it’s the kind of day when only something gutsy will do, then look no further than the Swan Breakfast Brioche Bun. As well as packing an alliterative punch in terms of its name, it packs in a lot of good stuff: a Cumberland sausage, maple-cured streaky bacon and a fried Legbar hen’s egg with a ravishingly runny yolk. The menu also includes pastries, pancakes, eggs Benedict and, of course, a classic Full English, while preserves are made from fruit that has been hand-foraged by Allan’s mum in Kent — a different kind of morning jam to what you may be used to. Breakfast is served from 8am until 11.30am daily, meaning there’s plenty of time to nip in before work, have a breakfast meeting or take things a bit more leisurely. When the weekends come round, we push it back to between 10am and midday, and from 11am to 3pm for our brunch dishes, just to ensure there’s no need to rush. Brunch options include a classic Arbroath smokie with a poached egg and farm-fresh butter, and the best of the season’s asparagus, simply grilled and served with a fried duck egg and chopped hazelnuts. If you’re of the inclination that it’s just not brunch without booze, then order a Buck’s Fizz, spritz or Bloody Mary — or try our Bloody Maria, made like a traditional Bloody Mary but with tequila instead of vodka. Abstaining tastes great too, with a selection of smoothies, fresh orange juice and top coffee. So, that’s mornings sorted. Now you just need to make sure you set your alarm in time for breakfast at Swan.